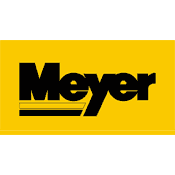 RCPW is a top online dealer of replacement Meyer snow plow parts and accessories. We have everything your plow might need, from general maintenance parts like hydraulic fluid and springs, to more specialized items like mounting cartons, a-frames and sectors. Whatever your plow requires, we have it and can get it to you fast. We also offer free in-store pickup at our warehouse in Macedonia, OH. Our extensive inventory of genuine components means you can find it and have it shipped directly to you, and be back out plowing in no time. These are factory parts made to fit your specific application so you don't have to worry about quality. We stock all of the components that you would need to rebuild, repair, or replace your existing hydraulic power unit on your truck. If you'd like to repair or completely rebuild, we stock items like seal kits, paint, rams and other items that frequently go bad. Just want to replace what you have and get a new one? We sell refurbished units and keep them on-hand during the season. For assistance, or to place your order today, call our expert team at 800.937.7279 and we'll help you find the exact Meyer parts you need to get the job done and get back behind the wheel and clearing snow.